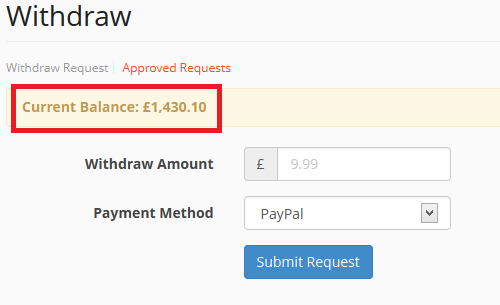 Seller could view his total earning from withdraw page. 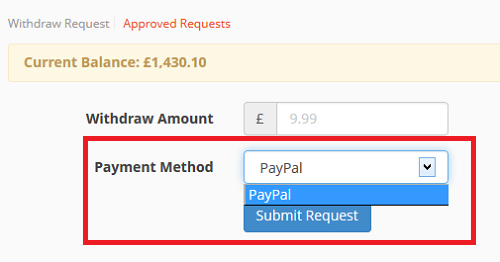 Seller could select his comfortable withdrawal method from drop-down box in withdraw page. Seller must have minimum limit to make a withdraw request. site admin will set the minimum balance for seller to make a withdrawal request. seller will view the limit in terms & condition and will get email notification. Seller will get e-mail notification when his withdraw request gets approved by the admin.